Cook County, IL … Beginning earlier this year, Cook County Sheriff’s Officers from the North Narcotics Team and the Berwyn Police Department began investigating individuals that were trafficking narcotics and believed to be involved in local street gangs. Three men were arrested and three are at large. Ciprian Gogea, Eduardo Cortez and another male that may go by the name of “Pablo” are at large (See six photos …). To begin their investigation they set up a meeting between an undercover officer and Marcelo Cruz, 26, of Berwyn. Cruz made reference to the sale of cocaine and firearms during their initial meeting. The Federal Bureau of Investigations (FBI) was contacted to assist in the sale of illegal the firearms. During this phase of the investigation, there were seven undercover meetings with Cruz in which two firearms — a Lorcin 380 semiautomatic pistol and a Hi-Point 9 mm semiautomatic pistol, both with serial numbers defaced on them—were purchased and 729 grams of cocaine, with an estimated street value of $218,700 were purchased from Cruz. On August 30, Cruz was taken into custody after delivering 126 grams of cocaine to an undercover police officer. He was charged with multiple counts of delivery of a controlled substance, a felony and two counts of firearm trafficking, also a felony. He appeared in bond court on August 30th and his bond was set at $100,000. Cruz is 26 years old, a self-admitted member of the Latin Counts Street Gang and has 28 prior arrests, which began when he was 13. Another part of the operation involved investigating additional individuals including Thomas Hubbard, 27 of Berwyn. Hubbard met with undercover officers on two separate occasions delivering 60 grams of Cannabis on one occasion and 437 grams of Cannabis on August 31st, when he was taken into custody and charged with manufacture and delivery of 30-500 grams of Cannabis, a felony. Hubbard appeared in bond court on September 1st and his bond was set at $20,000. He has 10 prior arrests. A third individual, Arturo Herrera, 25 of Berwyn, was also taken into custody as a result of the investigation. 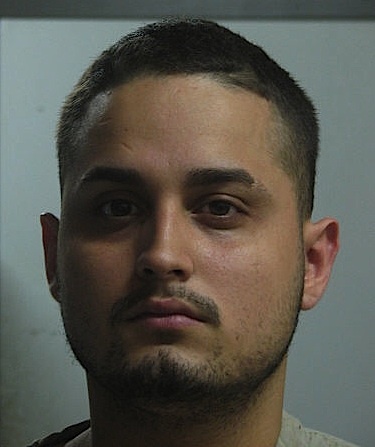 On August 30th, Herrera met with an undercover officer and delivered 454 grams of Cannabis, at which point he was taken into custody and charged with manufacture and delivery of 30-500 grams of Cannabis, a felony. Herrera appeared in bond on September 1st and his bond was set at $20,000. He has two prior arrests. As news travelled of arrests being made, individuals that were being targeted got wind of the sting operation and have gone missing. Officers are seeking any information on the whereabouts of Ciprian Gogea, Eduardo Cortez and another male whose name is unknown, but is believed to go by the nickname ‘Pablo.’ These individuals met with undercover officers a total of six times and sold drugs to undercover officers that had a combined estimated street value of $82,980. Photos of these individuals are attached and anyone with information is asked to contact the Cook County Sheriff’s Police – Narcotics Unit at 708-865-4743.